Russia and Israel continue to actively communicate in the military sphere, Russia’s ambassador to Israel Anatoly Viktorov has told TASS in an interview, Trend reports referring to TASS. 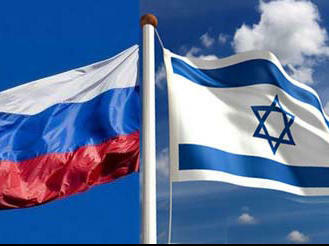 "Russia and Israel continue active contacts in the military domain. Meetings are being held, the most recent of them took place in late 2018," the diplomat said. When asked about Israel’s reaction to Russia’s deployment of S-300 air defense systems in Syria, Viktorov said the news were met "with concern." "Most of all, the Israelis are worried about the prospect of handing over control over the systems to the Syrian military," the diplomat said. On September 17, Russia’s Ilyushin Il-20 surveillance plane was downed over the Mediterranean Sea when it was flying back to the Russian-operated airbase at Syria’s Hmeymim. According to the Russian Defense Ministry, the plane was shot down by a missile from a Syrian S-200 air defense system when it was firing at four Israeli F-16 aircraft attacking targets in the Latakia governorate. The Israeli pilots actually hid behind the Russian plane exposing it to Syrian missiles, the ministry stressed. The Russian Defense Ministry stressed that Israel bore full responsibility for the incident, which claimed the lives of 15 Russian military servicemen.